“So it’s official. 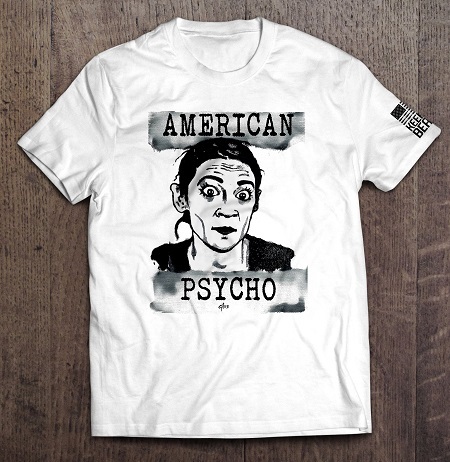 Alexandria Ocasio-Cortez is a moron and nasty and more self-righteous than any televangelist who ever preached a sermon on cable access. She’s not impressive, she’s awful,” he said after mocking her hypocritical statement regarding the left’s name-calling of the Tea Party. Of course, Ocasio-Cortez went ballistic, apparently unable to take any form of criticism, no matter how fair. Apparently, the truth really hurts, at least for AOC, who conveniently forget that she she trashed Sen. Mike Lee and called the Tea Party “white supremacists.” Apparently, she thinks she’s the only one who can criticize opponents. But your fiend Ilhan Omar called the President “less than human” and you were totally ok with it. Doesn’t add up. Of course it doesn’t add up because leftists like Omar and AOC are rank hypocrites and they fully expect the liberal media to provide cover so their hypocrisy won’t go noticed.